Description: Elevate your bar collection with Luigi Bormioli's Bach red wine glasses, made in Italy from proprietary SON.hyx glass for ultimate clarity and dishwasher-safe durability. 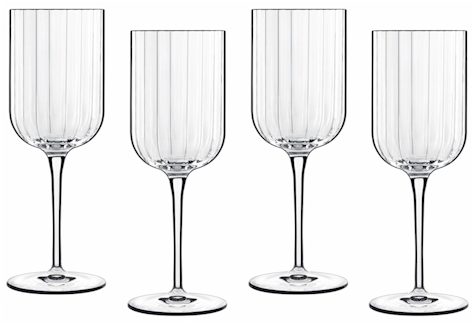 The drawn stems are titanium-reinforced to keep your drinkware elegant and intact for years of entertaining. By Luigi Bormioli; made in Italy.